Holly McGhee started writing in 2007 under pen name Hallie Durand when the character Dessert Schneider barged into her life one morning while she was pleasantly reading on New Jersey transit. Dessert demanded that her story be told, in her own words, and so Holly obliged. She has written three chapter books about her in all (Dessert First, Just Desserts, and No Room for Dessert). 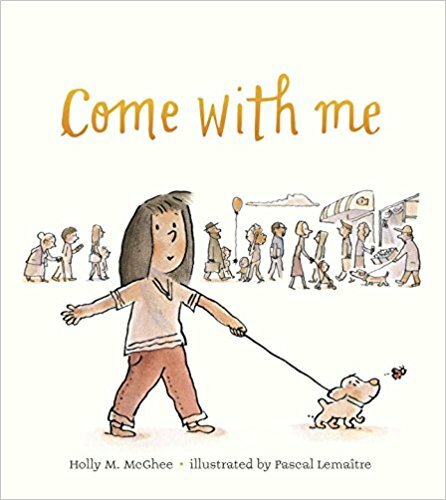 Under her pen name, she has also written three picture books, two about a boy named Mitchell who likes to drive and knock things down (Mitchell’s License and Mitchell Goes Bowling) and one about her son Marshall who believes that gingerbread men can run (Catch That Cookie!). 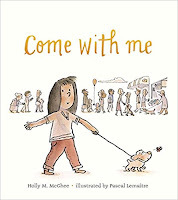 When her first middle-grade novel was sold, she decided to integrate both sides of her publishing life, as a writer and literary agent and founder of Pippin, and from here on you can find her books under her given name Holly M. McGhee. 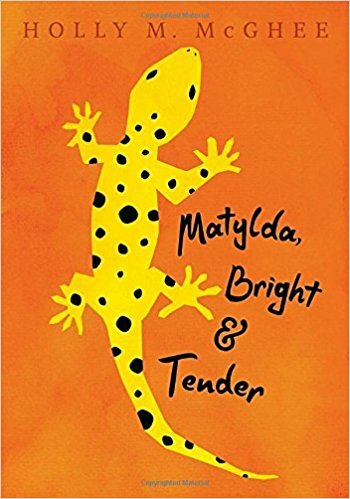 Look for Matylda, Bright and Tender in Spring 2017 from Candlewick Press and Come with Me, a picture book for all ages, illustrated by Pascal Lemaitre, in Fall 2017 from G. P. Putnam's. Her dot was created by her daughter, McGhee Louise Steiner, to whom Matylda Bright and Tender is dedicated. Holly writes, "She wanted it to look like a snow globe. And my book is dedicated to her, my middle child—a force in the universe. Part of the reason I kept going on with writing is because she insisted and I didn't want to disappoint her by not finishing; I didn't want to set that kind of example as a parent."